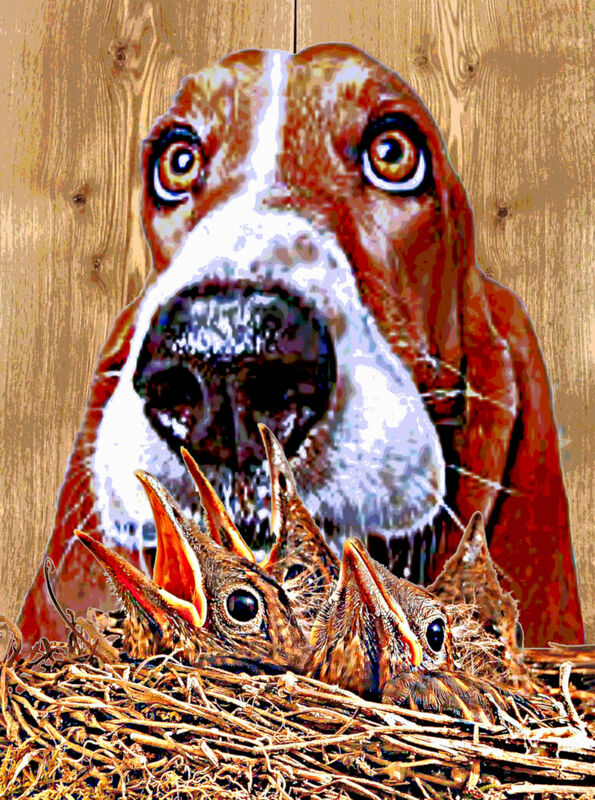 I made some new animal art called Mother and Baby Birds to commemorate adoption and all those animals who remain unadopted in shelters around our country. North America’s largest non-profit pet adoption search engine is called Adopt A Pet. You can search the national database for a soul to rescue so they can rescue you in return. Please, take the time to consider adopting a pet from a shelter. We’re the nation’s largest and most effective animal protection organization. Adopt the perfect pet from more than 16,000 animal shelters and rescues! Animal art in a gallery by artist Mary Clanahan. Digital art inspired by animals created using a layer effect. Animal art called Monkey inspired by a cute monkey by digital artist Mary Clanahan. Monkey is layer art created with Corel art software. See more animal art in the Animal Art Gallery or shop animal art prints in Fine Art America. Animal art of baby chickens by digital artist Mary Clanahan. See more baby animal art in the Animal Art Gallery.